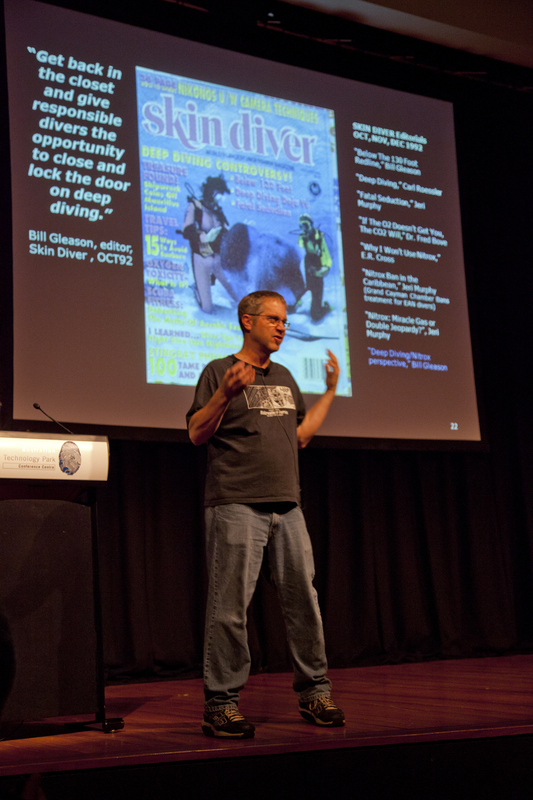 OZTek was again kicked off with Michael Menduno continuing his presentation from the opening morning on the adventures in AQUACorps magazine and the origins of the original Tek Show of the mid nineties. Interesting to remember the resistance to nitrox that abounded with its first introduction to the recreational diving market. I will speak about the origins of technical diving with a future post. For now, it is worth mentioning that something that most divers consider the norm today, was not always viewed that way. Michael Menduno explains the initial industry response from Skin Diver magazine to the introduction of nitrox and technical diving. I was able to sit in on Dr. Simon Mitchell’s presentation today about improving the safety of rebreather diving. He is an amazing presenter and is always sure to bring a good joke or two during the presentation as well. The content of his talk centered around the ways that rebreather divers and the industry can look at what they do to help mitigate and minimize incidents. 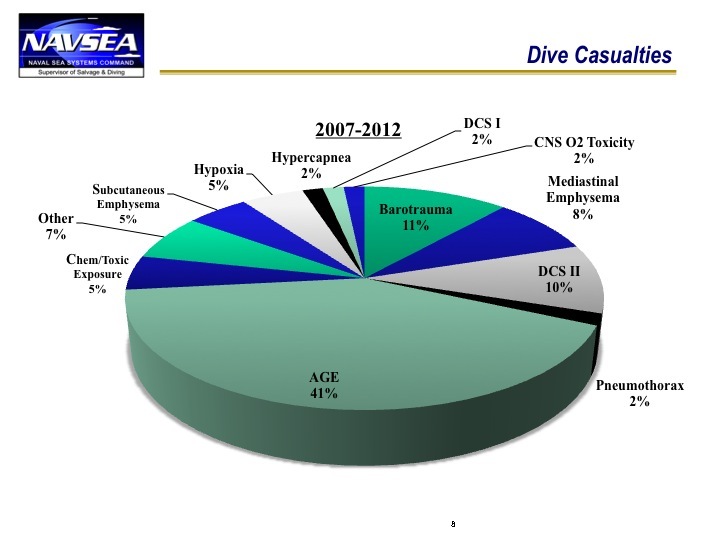 He presented what data is available to try to shake out what the incident rate might be for rebreather diving as compared to open circuit (regular scuba) diving. Simon found as best as can be shaked out of the data that rebreather diving carried with it a higher incident rate than open circuit. 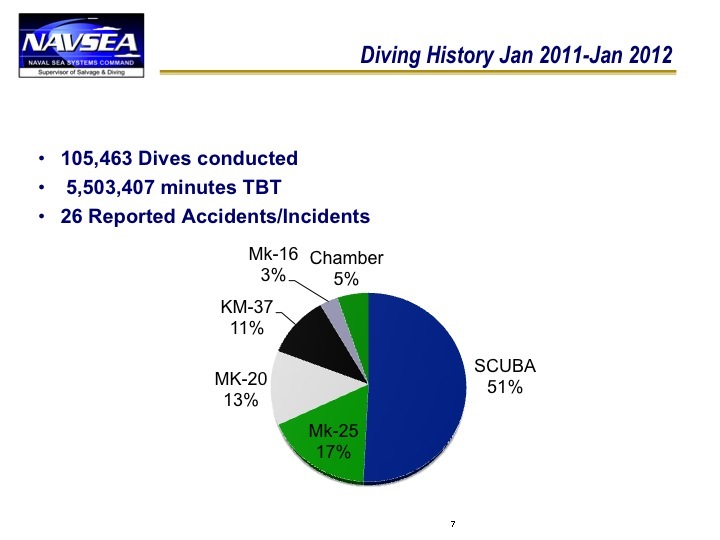 The why or skew to the data pool because of the types of diving that many rebreather divers are doing was pointed out, but his point was that the rebreather divers are using rebreathers so they can do these greater exposure dives and ways to make the use safer is a worthy investigation. Dr. Simon Mitchell explains that what data we have is limited on rebreather diving, so he makes light of this lack of data. Simon does a very good job balancing what can be gleaned from the data and is scientific and what might be observation and or opinion. I was reminded that much of what has been discussed today are the same issues we have faced when the new rebreather revolution began in the mid 1990s. The difference now is that more divers are using them to do bigger and longer dives than back then. Very interesting discussion. 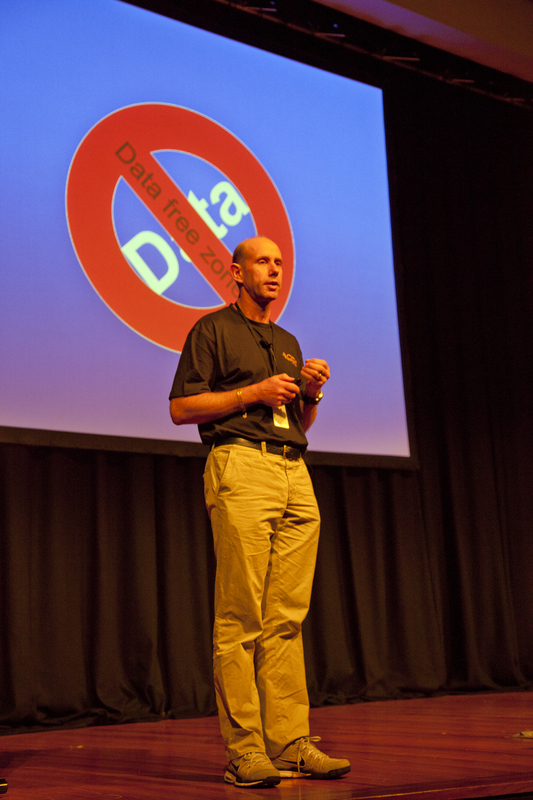 Dr. Simon Mitchell fielding questions after his talk at OZTek 2011. This talk brought a flurry of questions from the audience. MC Des Paroz joined him on stage to field questions. Jarrod Jablonski of GUE tenure presented on risk. His talk was well balanced with references to acceptable risk and assessing the differences from unacceptable risk. Examples were given related to fatalities that were illustrative of the issues presented spanning twenty years of diving. 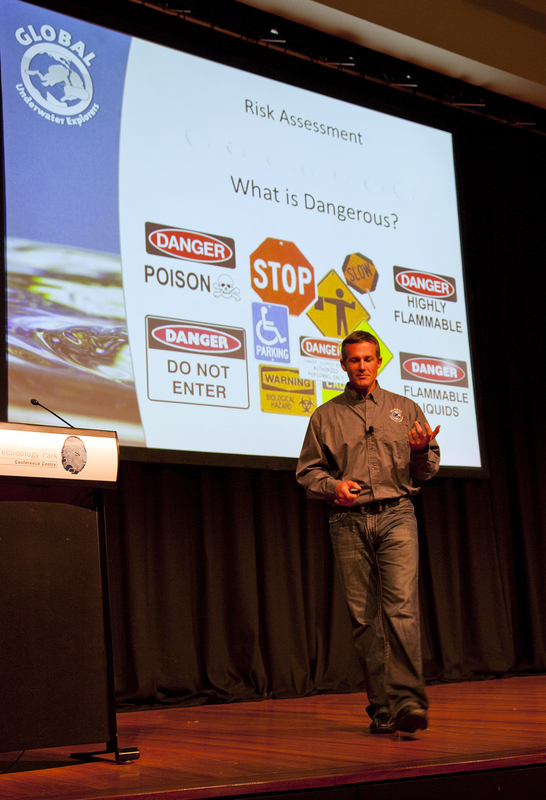 Jarrod Jablonski presenting at OZTek 2011 on risk relates that risk and warnings about it are everywhere. 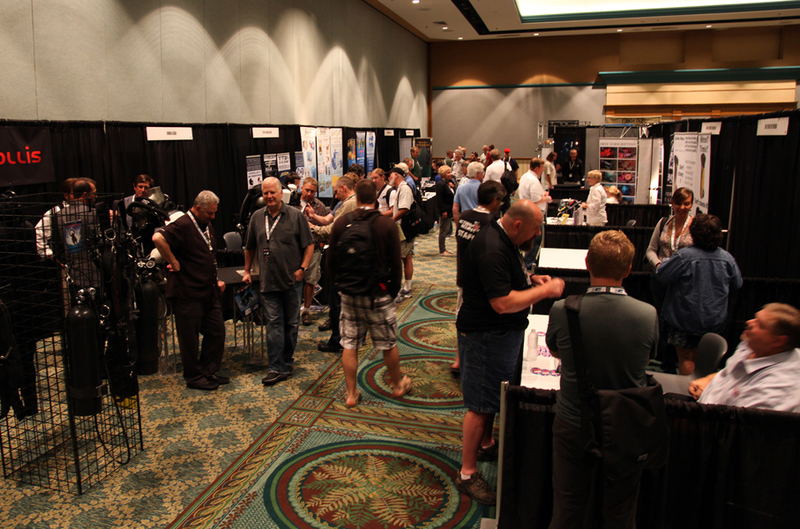 I presented on Precision Diving to a large crowd. It was a fun time and I was joined by a wide variety of divers from newer to seasoned explorers. Everyone seemed to enjoy the presentation and had fun with learning how to breathe. It never ceases to amuse me when I see people light up about the realization in Precision Diving. I had a lengthy discussion with a local diver after the talk about how he used breathing from his singing training and wished he had been told how to use that knowledge and be more able to control it while diving. Instead, he had to struggle with buoyancy changes and over weighting to compensate. He wished it had been explained to him just how much control and impact breathing has on all the other aspects of the foundational skills. It was a good day. The OZTek Awards Dinner was good fun and I hear it went way into the night. I had to duck out early to hit the bed for an early flight the next day to Melbourne. 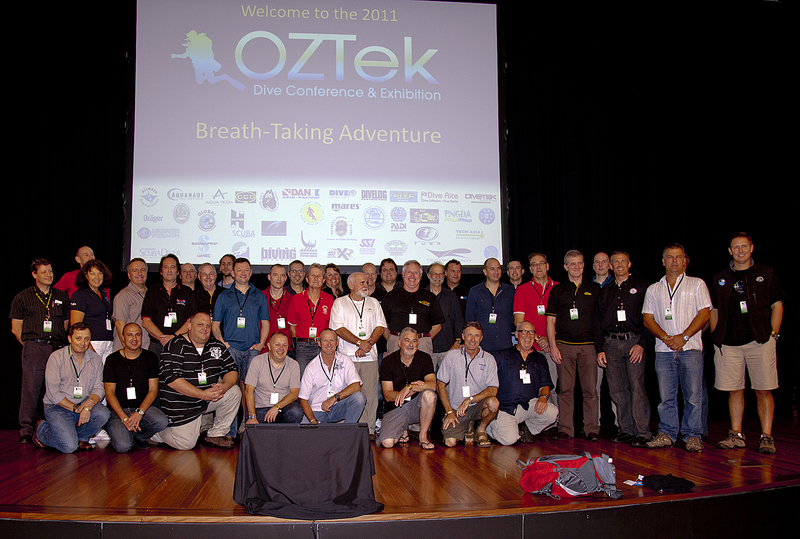 Today was the first day of the OZTek diving show in Sydney, Australia. I did one talk today about the physiology of deep freediving and how that is providing interesting insights and parallels with technical diving. For anyone that does not know what technical diving is, you can read more about it here. In a nutshell, it is diving that is conducted beyond the “recreational” envelope. In future posts there will be more discussion about these differences and what they are, but for now I will keep it simple. 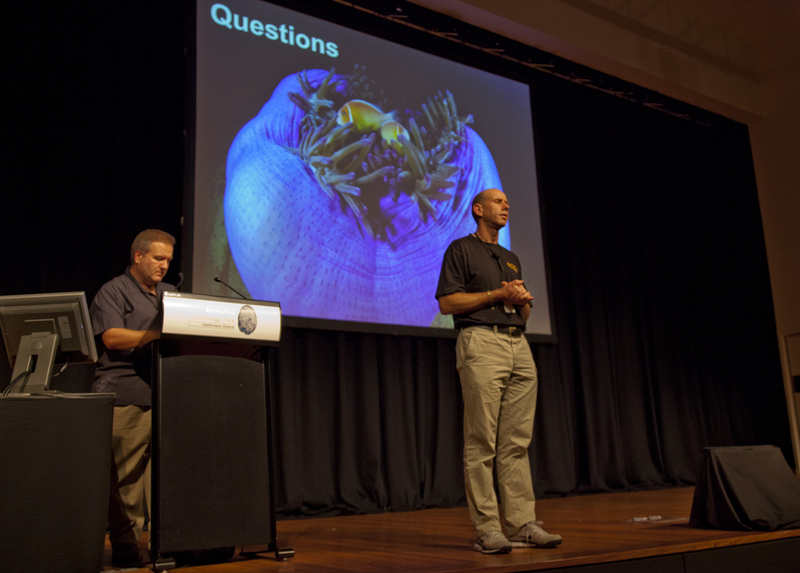 The importance of this show to Australia is that it is the only diving show that occurs here that draws an international audience and speakers. 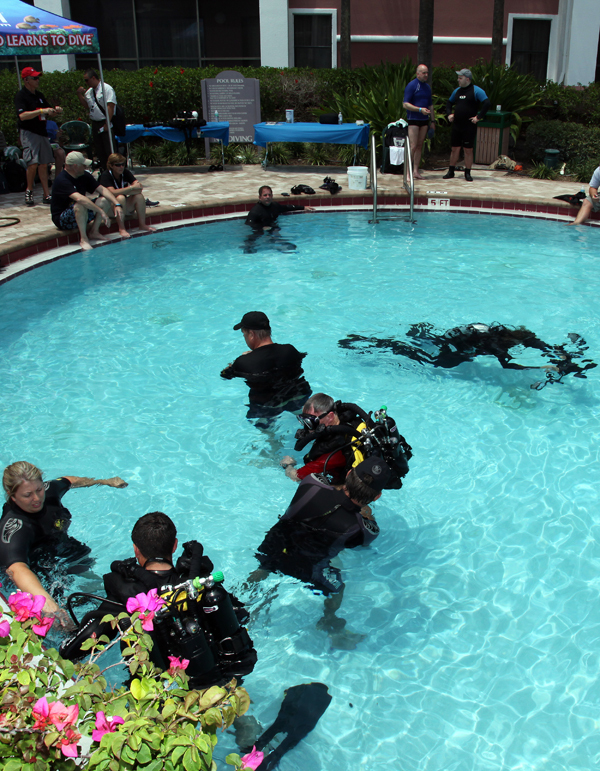 Also, the lack of a recreational show draws recreational divers on mass. It is an interesting mix of interests and backgrounds that makes it a lot of fun. Talks range from the truly technical to more informative ones that link techniques and innovations back to more mainstream diving. Jill Heinerth presented on the safety and issues surrounding the growth of rebreather diving and increased participation by divers with this equipment. I was able to sit in on it and enjoyed the presentation. 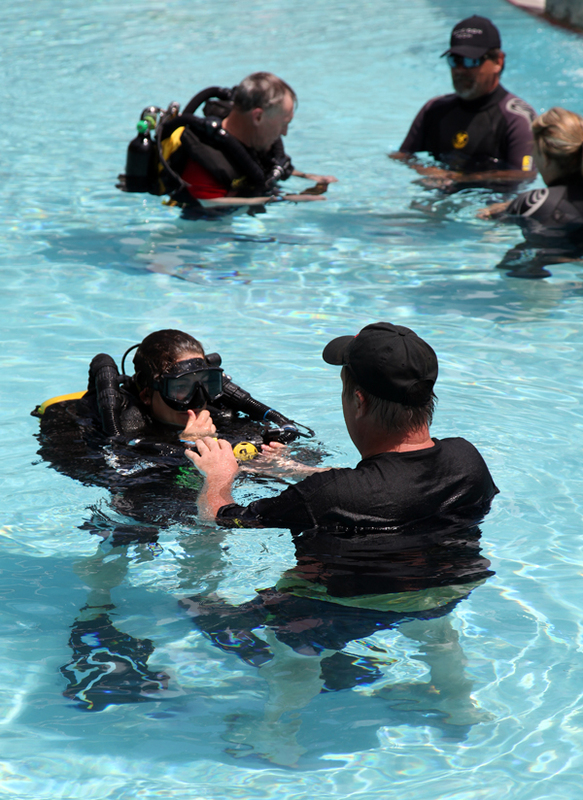 Interestingly, we have some common themes that run through our ideas about how to help divers be better at all levels. 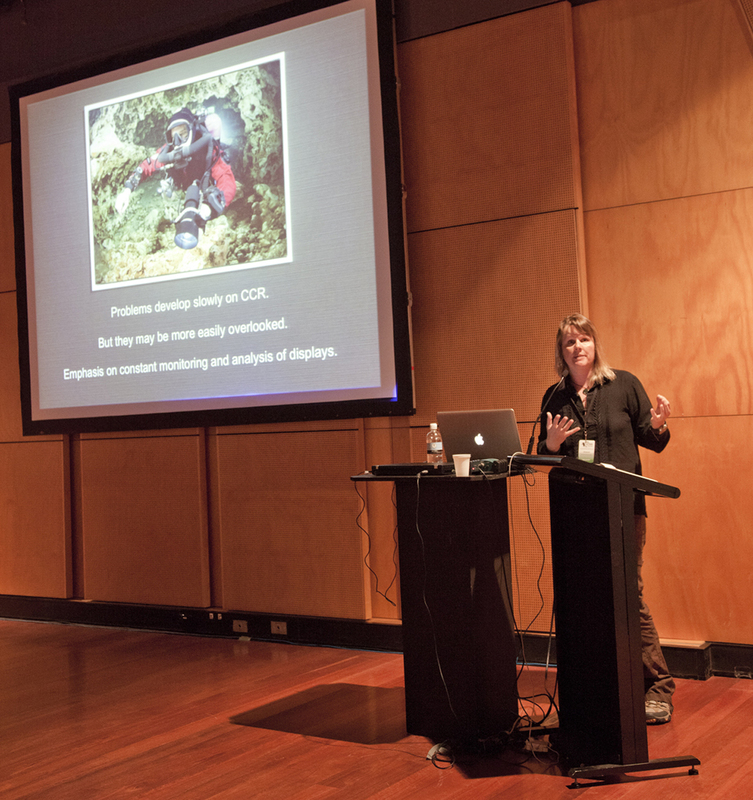 Jill Heinerth speaking about rebreather safety. 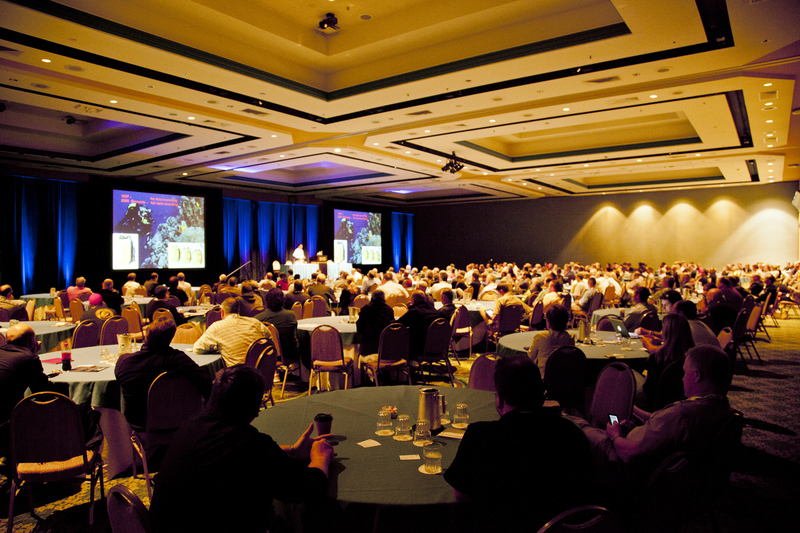 It can be difficult to pick which of the three presentations to attend each hour. Unfortunately, Dr. Simon Mitchell was presenting at the same time I was and I missed his talk. He was presenting on carbon dioxide and its effects on divers with information on new technologies for detecting it within rebreathers. We exchanged slide sets so we can see what we missed. 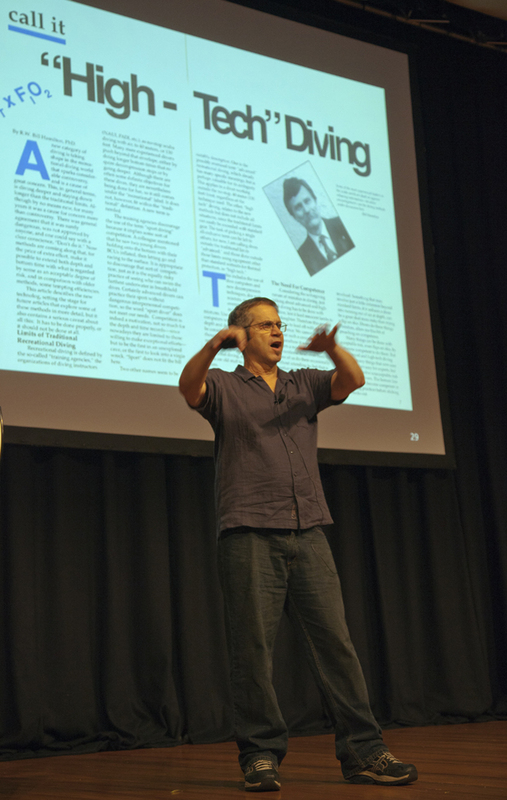 Michael Menduno, of AQUACorps fame (one of the first widely published technical diving specific magazine), opened the show with a fun and memory jogging review of the very beginning days of the practice. He is the person that coined the term “technical diving” because if the similarities to technical climbing. The term stuck. Michael explaining where the origins for coining the term “technical diving” came from. Tomorrow brings another full program and I will be speaking about Precision Diving.